If you ask any Pakistani cricket fan regarding who is the heart throb cricketer of Pakistani cricket team, he/she will certainly say Shahid Afridi. 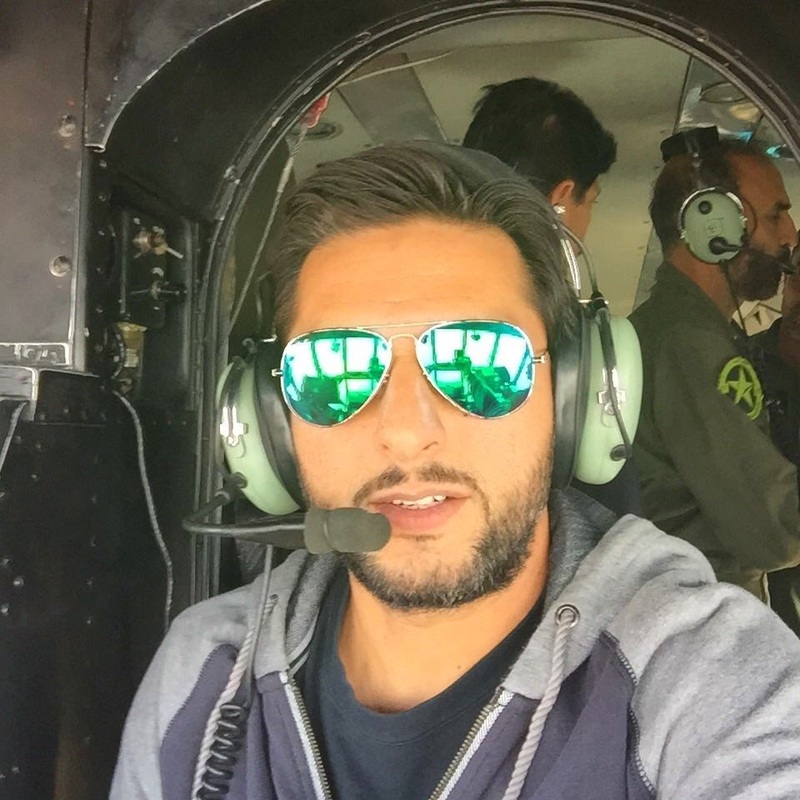 In my opinion, Afridi has the right charisma to attract fans from around the world because of his humble personality and aggressive shots during the matches. He is legend all-rounder who always brightens the name of Pakistan all over the world. He is extremely enthusiastic and motivated and an all-time favorite player nationwide. People call him boom boom Afridi due to his bombastic style and sixes he throws. He always tries to help Pakistan team in difficult time where higher run rate is required in hardly few overs. He is around 40 years old and will be playing in 2015 world cup. Shahid Afridi will lead T20 world cup as captain of Pakistan team. Afridi always has an edge on foreign players such as Kohli, Singakara etc. Shahid Afridi also has great impact on his fans and other players to get inspiration and motivation. He has decided to say Good bye to his one day international career after 2015 world cup. The director of CPL of international cricket and ex-player of Australia Tom Moody mentioned his valuable opinions for Afridi as he has spirit to jolt dawn the West Indies. Moody also gave his further predictions for CPL 2015 that Afridi will bring the excitement and thrill in the tournament. Boom Boom has great record for most sixes in ODI. It is predicted by the Afridi’s fans that he will play the best part towards the victory in world cup. We are very hopeful that Boom Boom Afridi’s inclusion in team will make the match against India, the most exciting one among the whole world cup series. He is considered as a rapid run scoring batsman hence his presence in world cup series is very crucial. Pakistani nation loves its hero.